Most of us who enjoy summers at Smith Mountain Lake know that sunshine in moderate amounts in beneficial to our skin in a variety of ways. However, if you plan to be in the sun for more than 20-30 minutes at a time you run the risk of sunburn and exposure to damaging rays. This is where sunscreen enters the picture. Unfortunately there is a very good chance that the commercial sunscreen you are using is also causing damage to your skin. We think of sunscreen as something that is going to protect us from developing serious problems such as skin cancer somewhere down the road, and it many ways it does. But there are some real health concerns with much of the manufactured, store bought sunscreens that people are using on a daily basis. For those of us who attempt to avoid toxic chemicals, the issue with sunscreen is similar to those we have with shampoo, soap and other skin care products. Most of them are filled with a variety of natural and chemicals ingredients and it’s hard to know if all of them are safe or may have long-term side effects. 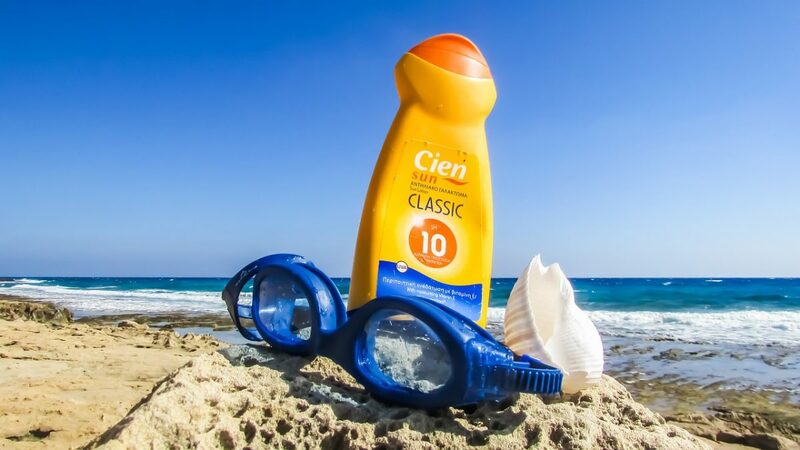 Did you know that nearly 70% of sunscreens on the market either do not work to protect us from the sun’s Ultraviolet (UV) rays, or else contain chemicals that can be as equally dangerous as too much sun? Unfortunately the FDA does not review sunscreen safety. But The Environmental Working Group (EWG) puts out an Annual Sunscreen Report which shows the results of current testing and research. All sunscreen has some form of filter, chemical or mineral, that is designed to protect the skin from UV rays. Those filters come in several different forms and each with their own issues. 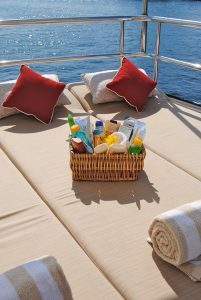 According to the EWG and their study of 9 most commonly used sunscreen chemicals, 7 of them showed a variety of toxicity and one of the more troublesome ones, oxybenzone, is found in roughly 65% of the sunscreens commonly available. Oxybenzone is easily absorbed into the skin and as a result often finds its way into your bloodstream. It can cause severe allergic skin reactions, low testosterone levels, hormone disruption, lower birth rates, endocrine disruption and more. And this is just one of the many toxic chemicals most widely used in sunscreens. To read the full report go here. Mineral sunscreen filters are usually made using nanoparticles of zinc oxide or titanium oxide. The EWG sunscreen database reports that there is little if any evidence that zinc or titanium particles penetrate the skin to reach living tissues. Minerals like these could cause oxidative damage to your skin, but only if they can actually penetrate the top layer which is very unlikely. This means as a general rule mineral sunscreens tend to rate better than chemical sunscreens as far as safety. While it is not impossible for these minerals to do damage if their manufacturers use forms of minerals that are not coated with inert chemicals to reduce photo-activity, no such problems have been reported. This is just one reason for advocating the switch to natural products when it comes to taking care of your skin. Many ingredient labels contain an Active Ingredient list (IE Chemical UV Filters) and an Inactive Ingredient list. These inactive ingredients often make up 60% or more of the product, which means they definitely matter. One example of an often used sunscreen ingredient would be retinyl palmitate, which has been shown to speed up the growth of cancerous cells by 21%. We cannot trust our health to money hungry manufacturing companies, so do not forget to thoroughly research all ingredients on the label of your sunscreen, as many inert ingredients can be as toxic as those listed as “active”. In spite of greater awareness about the dangers of long-term sun exposure, the risks of skin cancer, the benefits of sunscreen, etc., the incidence of skin cancer is still rising yearly. Skin cancer rates, melanoma in particular, are rising by nearly 5% each year in spite of the fact that we are trying to get less sun exposure and wear more sunscreen. Perhaps there are no perfect options as far as buying sunscreen, but there are a number of them which have gotten excellent ratings by the EWG and others who are concerned about sunscreen safety. You can read about some of those healthier alternatives in this Dr. Axe article. You can also make your own sunscreen at home. It may not be quite as high an SPF but You can make a product that’s as non-toxic as you’re going to get with sunscreen. You can also get a good recipe for Natural Sunscreen, which includes some of the known SPF’s of the ingredients on the Wellness Mama Website. 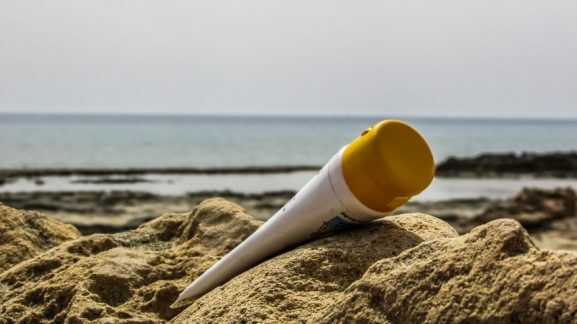 At the end of the day, it is pretty clear that unless you have researched each ingredient in your sunscreen, there is a strong possibility that some of it’s ingredients may be doing you harm. If you are conscious of your health and aware that skin products can do serious damage, it’s definitely worth thinking about what’s in these products.